Carmelo Anthony's wild offseason, which has included a trade from the Oklahoma City Thunder to the Atlanta Hawks and will include a $27.9 million buyout from Atlanta, is expected to end with Anthony signing in Houston. Houston has had a fascinating offseason. Gone are Trevor Ariza and Luc Mbah a Moute, lost in free agency. Back are Chris Paul, Clint Capela and Gerald Green, who all re-signed with the team this summer. But adding Anthony will bring a new dynamic to Houston. Will Anthony adjust to Houston's style of play? Will he be willing to spend a fair amount of time standing in the corner, spacing the floor for James Harden and Paul's pick-and-rolls and isolation drives? Can he coexist with Mike D'Antoni after the pair didn't prove to be a great fit during their time together with the New York Knicks? 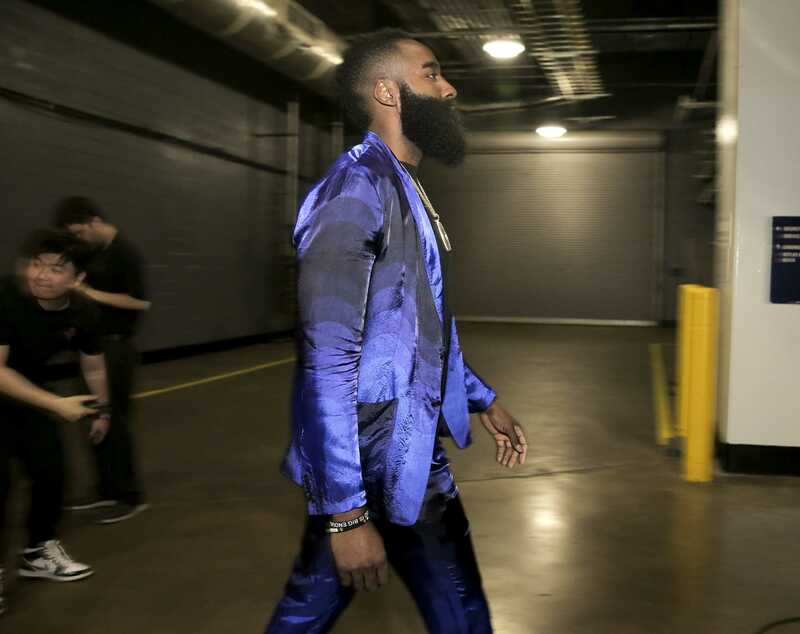 And will he be able to earn isolation touches of his own or have to completely reinvent himself once again as the third option behind Harden and Paul? Anthony never proved to be a great fit in Oklahoma City with Russell Westbrook and Paul George. "As much as I loved playing with Melo and having Melo alongside us, I understand the decision of both sides," George said after Anthony was traded, per Michael Lee of Yahoo Sports. "It just didn't work. It didn't work." "Obviously, it's a lot of egos, a lot of talent. Someone has to sacrifice in order to get to where you want to go. Everybody in the world knows what Carmelo brings, how gifted and talented he is, and he still has a lot more to go. "If he comes to Rockets, we'll bring the best out of him, and I'm sure he'll bring the best out of us as well. We all know how easy Melo scores the basketball. ... Things aren't always going to be perfect, but as long as you have that communication, good things will happen." There's an argument to be made that Houston has lost ground on the Golden State Warriors this offseason after losing to them in seven games in the Western Conference Finals. How Houston stacks up will be contingent, at least in part, on how Anthony fits with the Rockets once he officially signs.